Fazzino Olympic Pin Giveaway Contest Winner! 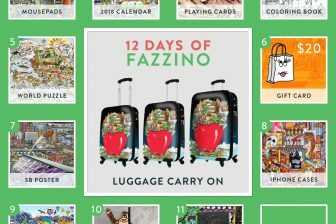 To celebrate the 2014 Winter Olympics, we decided to host a contest to give away a set of Fazzino Olympic Games Collectors Pins. We asked our fans to guess the total number of medals the US team would win and post their guess on the Charles Fazzino Fan Page on Facebook. The rules were that whichever fan guessed the number correctly or was the closest to it without going over would win the set. In the case that there were multiple correct answers, then the winner will be randomly selected from the correct guessers. 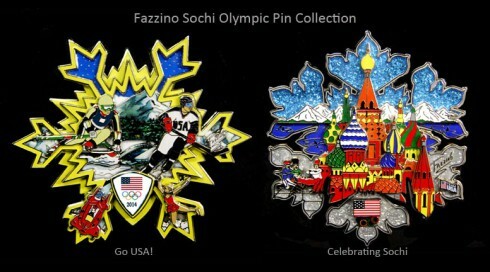 Though USA didn’t win the Olympics this year, we have a winner to announce today for our Fazzino Olympic Pin Giveaway! USA finished with 9 gold, 7 silver, and 12 bronze, for a final medal count of 28! 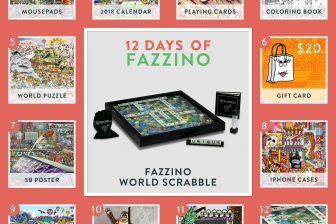 We had three Fazzino fans answer correctly, and the randomly selected winner is Susan Browne Rosenberg! 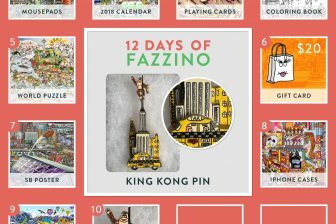 Congrats, Susan- you have won a set of Fazzino Olympic Pins! Claim your prize by sending us a private message on Facebook with your shipping address!